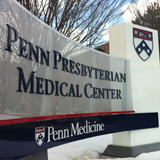 Dr. O'Brien is employed by Penn Medicine. 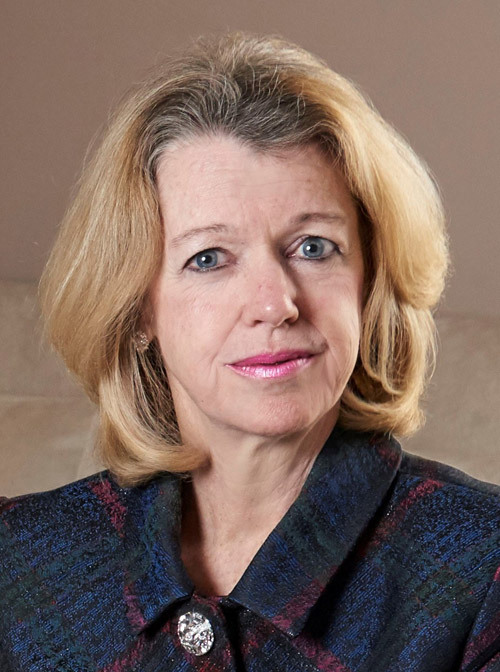 Dr. Joan O’Brien has extensive expertise in the study of the genetics of ocular diseases including retinoblastoma, melanoma and glaucoma. Dr. O’Brien’s laboratory has identified numerous unique pathogenic variants in the retinoblastoma gene (RB1). This testing has allowed retinoblastoma therapy to be directed according to underlying genetic risk, and is offered nationwide at no charge to patients through NEI’s eyeGENE™ initiative. Dr. O’Brien directs a research laboratory with next generation sequencing and high-throughput, automated Sanger sequencing capabilities, which focuses on translational genetics research with an emphasis on molecular sub-classification and endophenotyping of ocular disease. Currently, Dr. O’Brien is the primary investigator on an $11.25 million 5-year Primary Open Angle African American Glaucoma Genetics (POAAGG) study. Dr. O’Brien has 15 years of National Cancer Institute funded leadership roles in clinical trials and phenotype validation for all retinoblastoma studies administered through the Children’s Oncology Group (COG). Over the past five years, in collaboration with colleagues at UCSF, the group has discovered and characterized two novel oncogenes (GNAQ, Nature 2009 and GNA11, NEJM 2010) which regulate the MAP kinase pathway. This has allowed Dr. O’Brien’s uveal melanoma patients to have personalized and targeted therapy with MEK inhibitors, providing prolongation of life for these patients with widely metastatic melanoma. Justine R. Smith, FRANZCO, PhD, 1 Jacob Pe’er, MD, 2 Rubens N. Belfort, MD, PhD, 3 Fatima Cardoso, MD, 4 Richard D. Carvajal, MD, 5 Carlos Carvalho, MD, 4, Sarah E. Coupland, MBBS, PhD, FRCPath, 6 Laurence Desjardins, MD, 7, Jasmine H. Francis, MD, FACS, 8 Brenda L. Gallie, MD, FRCSC, 9, Dan S. Gombos, MD, FACS, 10 Hans E. Grossniklaus, MD, 11, Steffen Heegaard, MD, PhD, 12 Martine J. Jager, MD, PhD, 13 Swathi Kaliki, MD, 14 Bruce R. Ksander, PhD, 15 Markus Maeurer, MD, PhD, FRCP, 4, Eduardo Moreno, PhD, 4: Proceedings of the Association for Research in Vision and Ophthalmology and Champalimaud Foundation Ocular Oncology and Oncogenesis Conference In Press 8 : 2019. Gudiseva H, Pistilli M, Salowe R, Singh L, Collins D, Cole B, He J, Sayaka M, Khachataryan N, Henderer J, Addis V, Cui Q, Sankar P, Miller-Ellis E, Chavali V, Ying G, Wallace D, O'Brien J: The Association of mitochondrial DNA haplogroups with POAG in African Americans Experimental Eye Research : 2019. Addis V, Oyeniran E, Daniel E, Salowe R, Zorger R, Lee R, Pistilli M, Maguire M, Cui Q, Miller-Ellis E, O’Brien JM*, Sankar PS*: Non-Physician Grader Reliability in Measuring Morphological Features of the Optic Nerve Head in Stereo Digital Images. Nature Eye : 2019. Fuerst N, Watson J, Langelier N, Atkinson RE, Ying G, Pan W, Palladino V, Russell C, Lin V, Tapino P, O'Brien JM: Breaking Bad: An Assessment of Ophthalmologists' Interpersonal Skills and Training on Delivering Bad News. Journal of Academy of Ophthalmology 10 : e-83-e91,2018. Danford I, Verkuil L, Choi D, Collins D, Guidseva H, Uyhazi K, Lau, Marisa, Kanu L, Grant G, Chavali V, O'Brien, JM. : Characterizing the “POAGome”: A bioinformatics-driven approach to primary open-angle glaucoma Proq Retin Eye Res. 58 : 89-114,2018. Kikut, A, O'Brien J: A Collaborative Community Model for Including Minorities in Genetic Research JAMA Ophthalmology : 2018. 1., Collins DW, Gudiseva HG, Chavali VRM, Trachtman B, Ramakrishnan M, Merritt WT, Pistilli M, Rossi RM, Blachon S, Sankar P, Miller-Ellis E, Lehman A, Addis V, O’Brien JM: The MT-CO1 V83I polymorphism is a risk factor for primary open-angle glaucoma in African American men. IOVS 59 : 1751-1759,2018. O'Brien JM, Salowe R, Fertig R, Salinas J, Pistilli M, Sankar P, Miller-Ellis, E, Lehman A, Murphy W, Homsher M, Gordon K, Ying, G.: Family History in the Primary Open-Angle African American Glaucoma Genetics Study Cohort American Journal of Ophthalmology : 2018. Parik RN, Sandhu HS, Massaro-Giordano G, Goldstein SM, O'Brien JM. : Benign Reactive Lymphoid Hyperplasia of the Conjunctiva Treated with Cyclosporine. Cornea : 2017. Salowe R, O'Keefe L, Merriam S, Lee R, Khachatryan N, Sankar P, Miller-Ellis E, Lehman A, Addis V, Murphy W, Henderer J, Maguire M, O'Brien J.: Cost and yield considerations when expanding recruitment for genetic studies: the primary open-angle African American glaucoma genetics study BMC Medical Research Methodology : 2017.